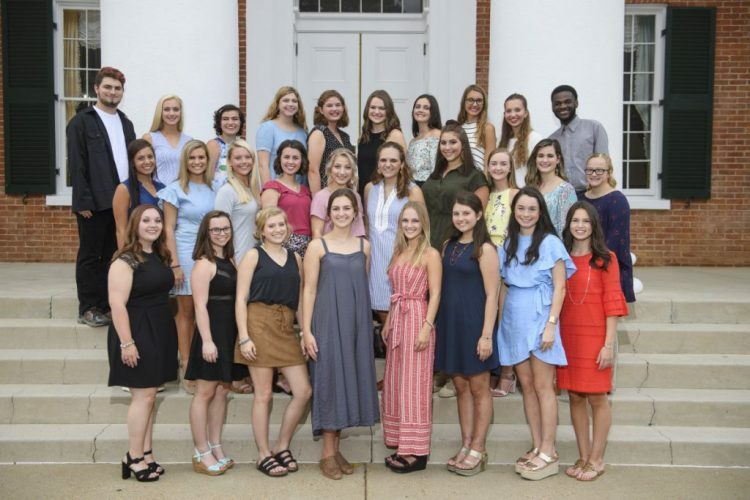 The sixth cohort of the Mississippi Excellence in Teaching Program (METP) at the University of Mississippi consists of 28 outstanding freshman from 11 states with an average high school GPA of 3.88 and ACT score of 29.4. Originally designed to recruit secondary education majors, METP now includes elementary and special education students and is financially supported by the Robert M. Hearin Support Foundation of Jackson. One of the nation’s most valuable teaching scholarships, METP provides up to four years of tuition, housing, living expenses, a study abroad experience and more. A joint-effort with Mississippi State University, which recruits a partner cohort each year, METP was established in 2012 with a $12.9 million investment from the Hearin Foundation. The scholarship was renewed in 2016 with a second investment of more than $28 million. The program is designed to help stimulate Mississippi’s economy by creating a pipeline of top-performing students into the state’s education workforce. The incoming freshman include: Julia Alexander of Union; Olivia Arnold of Vancleave; Matthew Bailey of Sedalia, Missouri; Victoria Bamburg of Haughton, Louisiana; Madeleine Biddle of Brandon; Anna Kate Broussard of Covington, Louisiana; Parker Connell of San Antonio, Texas; Natalee Dixon of Hudson, Wisconsin; Kaylee Dupree of Tampa Florida; Modena Edwards of Hernando; Andee Huskey of Ridgeland; Austyn Jones of Jackson; Margaret Lewis of Lake Forest, Illinois; Margaret Massengill of Brookhaven; Julianne May of Memphis, Tennessee; Georgia McGahee of Little Rock, Arkansas; Katherine Mobley of Coppell, Texas; Natallie Noel of Biloxi; Lilian Null of Corinth; SeLane Ruggiero of Southhaven; Hannah Saizan of Pass Christian; Evelyn Smith of Oxford; London Smith of Wildwood, Missouri; Kathryn Spiers of Picayune; Kate Stalcup of Overland Park, Kansas; Katlin Third of Ponte Vedra Beach, Florida; Caroline Underwood of Birmingham, Alabama and Hannah Witherspoon of Southaven. After graduation, METP graduates must teach in a public school in Mississippi for five years. However, this may be postponed for up to three years if graduates wish to pursue a graduate degree. UM Education Dean David Rock greets the new METP cohort during orientation in August. The new class brings the number of METP scholarship recipients at UM to 132. With the second cohort graduating last May, 93 percent of program graduates are teaching in Mississippi public school districts, with the remainder pursuing graduate degrees. Along with many other benefits, the program also includes at least two meaningful trips for the students. Sophomores travel to Washington, D.C. each spring to study American education through a policy perspective. Each summer, rising seniors travel out of the country to experience education through different perspectives, with past trips to Finland, Sweden and Canada. 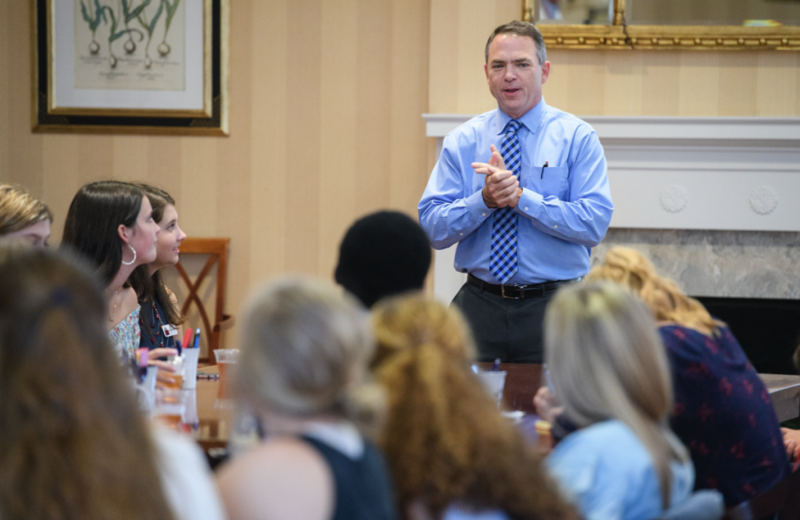 The new cohort includes 10 elementary education majors, seven English education majors, five math education majors, three science education majors and three special education majors. METP is unique in that it allows its members to begin classroom observations in September of their freshman year—an entire year before traditional education students begin observation. 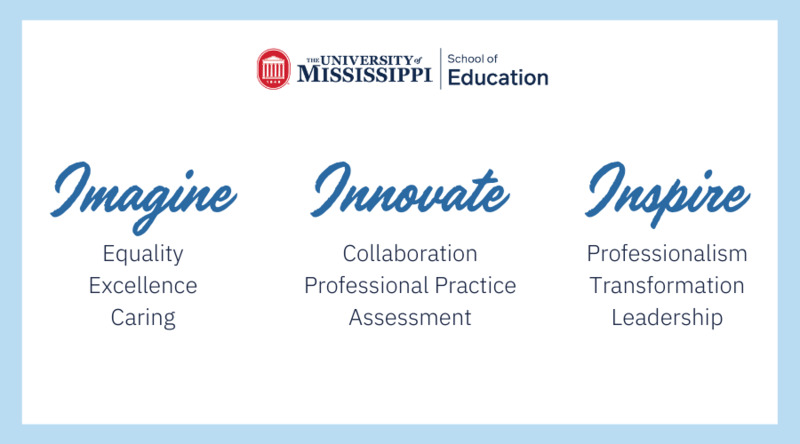 For more information about METP, go to http://metp.olemiss.edu/.